This guy just can’t control his mouth. Mr. Amnesty Jeff Flake told reporters the GOP is “toast” under the leadership of Donald Trump and Judge Roy Moore. 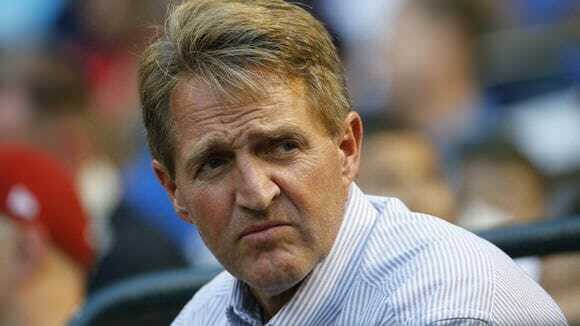 Senator Jeff Flake continues to audition for a contributor spot on MSNBC. Sen. Jeff Flake, a frequent sparring partner of President Donald Trump, continues to make enemies in his own party after calling the GOP “toast” while unaware he was still on a live mic. “If we become the party of Roy Moore and Donald Trump, we are toast,” Flake was caught saying by ABC affiliate KNXV.